Spanish rabbi, and president of the bet ha-midrash of Seville; flourished in the eleventh century. 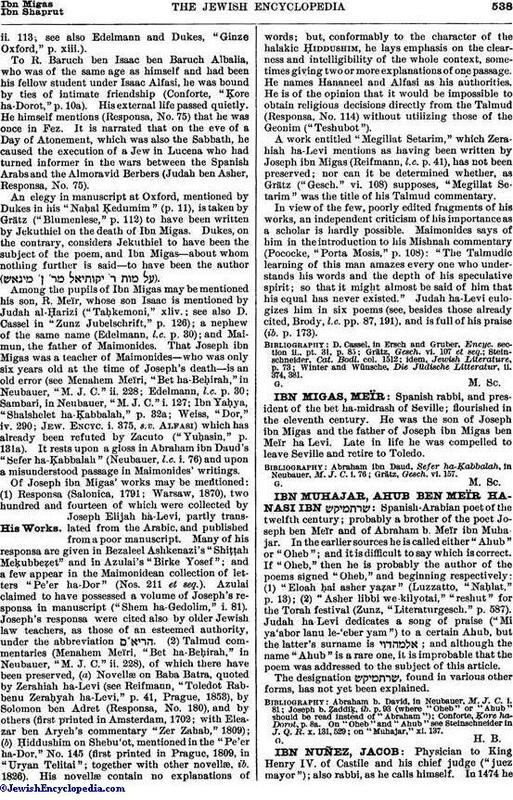 He was the son of Joseph ibn Migas and the father of Joseph ibn Migas ben Meïr ha Levi. Late in life he was compelled to leave Seville and retire to Toledo.